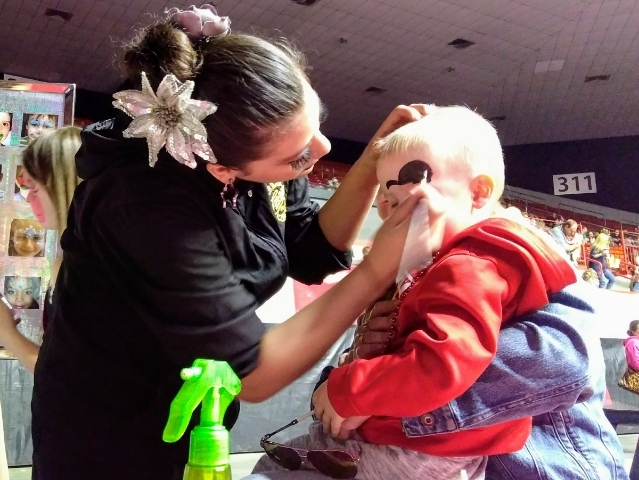 The 2019 Shrine – Tarzan Zerbini Circus rolled into the Tony’s Pizza Event Center for three days of fun and excitement over the weekend. 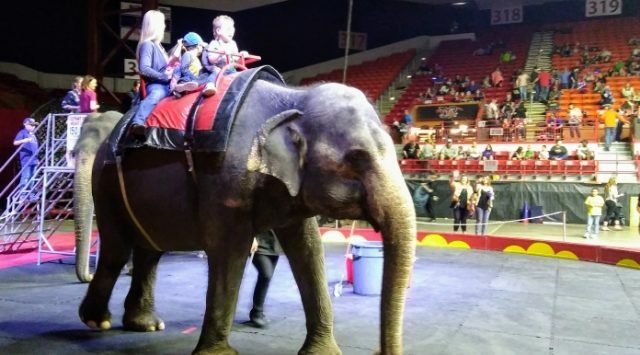 Hundreds of area children had a chance to get up close and personal with a couple of the show’s biggest stars, two elephants who gave rides before performing to the thrill of the crowd. 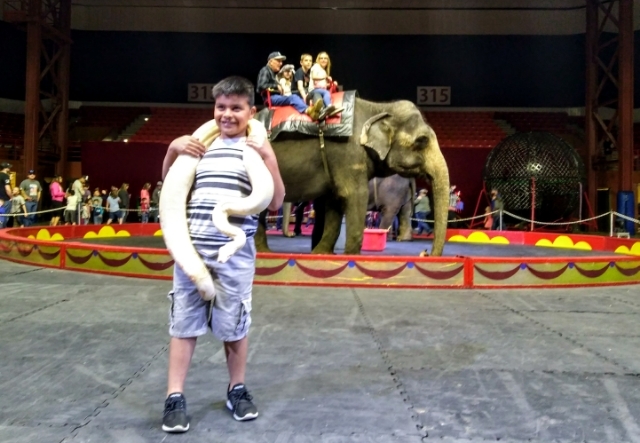 The intermission included a chance to have your picture taken with a real live circus snake – or just have your face painted like your favorite animal. 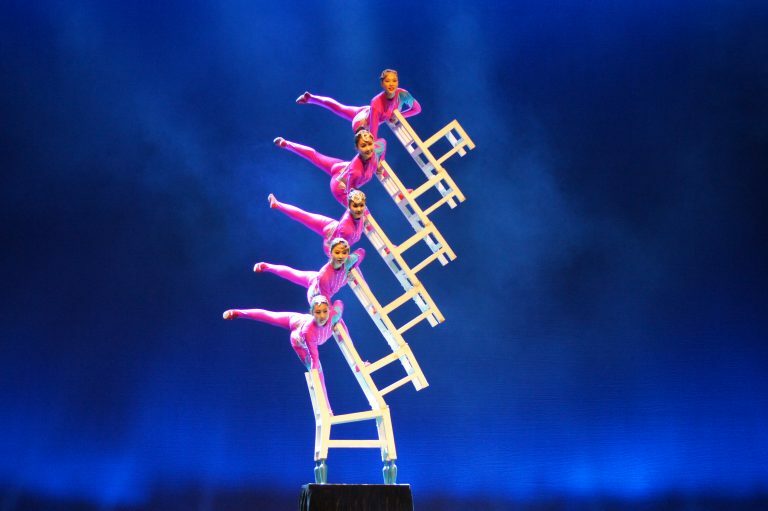 One of the day’s many highlights included the the Anhui Yixing Chinese Acrobats balancing atop a number of chairs stacked to the rafters. 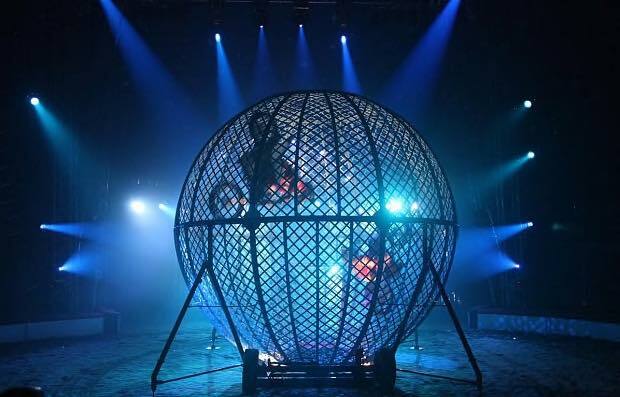 And the Dominquez Motorcycle Stunt Team, who roared on motorcycles inside a steel cage ball. The Shrine Circus is just one of the many events hosted by the organization to help raise awareness of Shriners Hospitals for Children which is a network of over 20 non-profit medical outlets that specialize in helping children with orthopedic conditions and spinal cord related injuries.